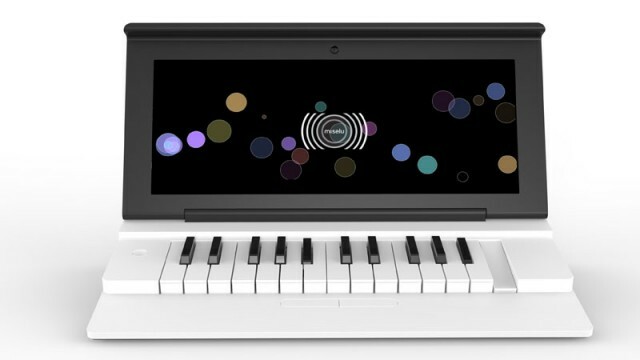 Looking a bit like the love child of a Nintendo DS and a microKORG, the Miselu neiro is a different animal in mobile music. 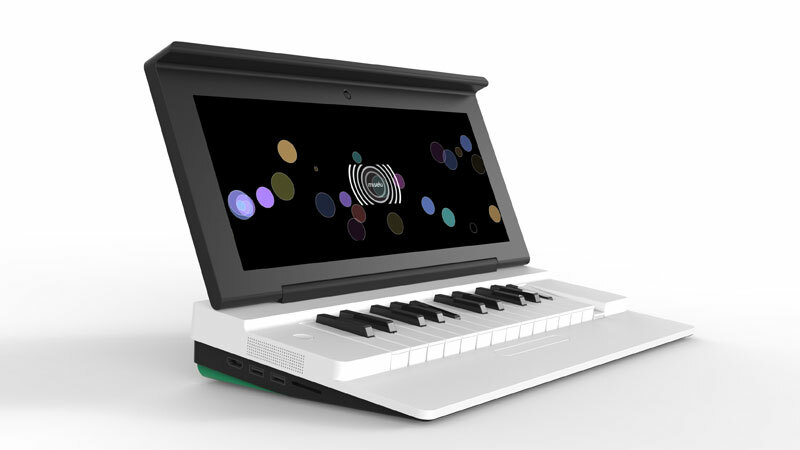 The upcoming device is powered by Android and has a touchscreen – a bit like a tablet – but it’s hardware dedicated to music-making, complete with a compact, piano-layout keyboard. The gamble is that people wanting to make mobile music will choose this dedicated device instead of a general-purpose gadget like an iPad. Connected: The creators call it a “network-enabled mobile companion,” so online connections and “social” interaction are part of the plan. That includes, out of the gate, SoundCloud. I/O: Product mock-ups show USB (2x), HDMI, audio in and out (stereo minijacks), and, in a nod to the Atari ST, dedicated MIDI DIN jacks. There’s also an SD card slot. 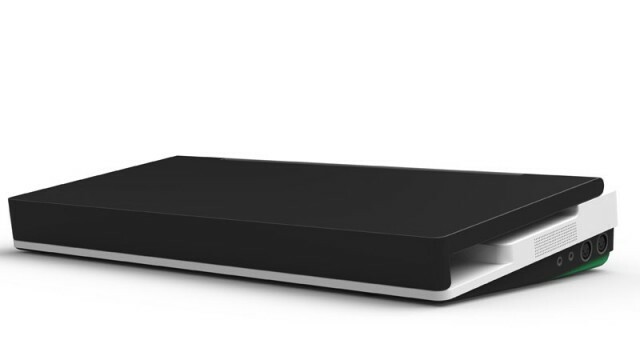 Platform: The hardware is an “open platform environment” that will run custom apps and “solutions,” say the creators. Exactly what that means, we’ll have to see, but of course Android does offer application deployment possibilities (even outside of Google’s Android Market, now called Google Play). Before the Android aspect of this invites skepiticsm, the big challenge with Android has been unpredictability with OEM-delivered hardware. While the audio API doesn’t work in the way many of us would like, if you do have dedicated hardware with predictable performance, you can side-step many of those problems, so the possibility of music-focused gear has always been interesting. On the other hand, just looking at the ports they’ve got on the prototype could easily make you drool. If they nail the hardware and get this out the door, there could be some real possibilities with this. Of course, there’s far more we don’t know than do know about this, but that just means it’ll be interesting to watch. See some pictures, teaser video, and check out the site. Okay, now we’re interested. 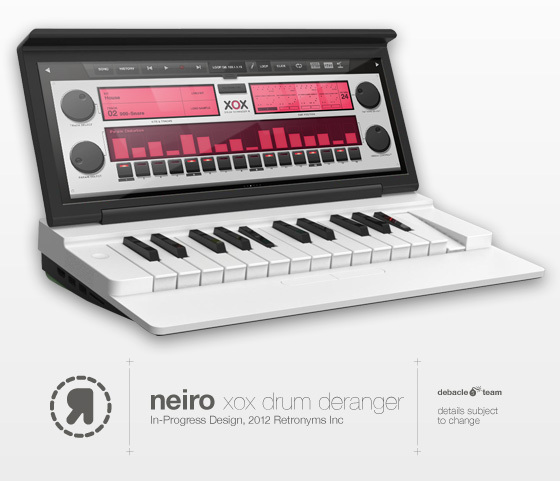 Yes, it’ll have a tasty-looking xox drum sequencer, courtesy (previously iOS-only mobile) devs Retronyms.